Today I picked up an issue of "Stocks & Commodities" (S&C) traders magazine for $4.95 at Borders. I usually get "Active Trader" magazine but I felt adventurous today and decided to get S&C magazine instead. I'm always on the hunt for interesting interviews and articles with other investors, traders and professionals in the field and always eager to learn new trading strategies and techniques as well as new developments in the world of trading. It turns out this magazine is great for all of the mentioned before! I think from now on I will get this magazine instead of "Active Trader". 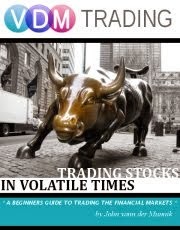 It holds a lot more information about trading not only stocks, but also options, ETF's, Forex etc, and although it says 'technical analysis' on the cover, it also reports on some fundamentals you need to know about. Really, I think the magazine should change its name to "Traders Magazine", I bet they will probably get a lot more readers. Anyway, overall this magazine is great and I think really the only magazine you'll have to buy if you trade mainly stocks, stock options and commodities. Thumbs up!